It’s Eurovision season and this year’s host broadcaster, RTP in Portugal has today revealed the slogan and theme artwork for 2018. Portugal as a country has always connected Europe to the rest of the world through the ocean, and 500 years ago Lisbon was the centre of many of the world’s most important sea routes. Today, Lisbon is using the ocean’s connectivity as inspiration with the slogan – All Aboard! inviting the international community to come together for this year’s competition. Europe is a collective of many, and this also inspired RTP’s design team to introduce multiple logos for 2018, rather than a single image. The main logo depicting a shell comes with twelve other derivations that depict various ocean lifeforms such as plankton and a range of other organisms which are essential for balance in aquatic ecosystems. 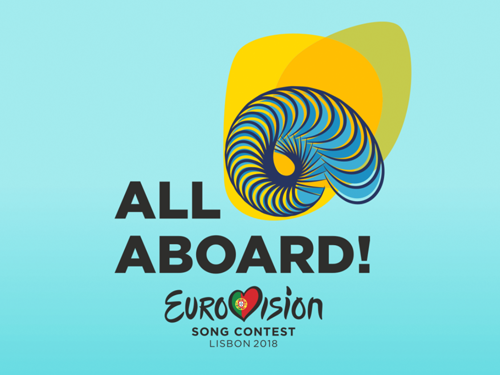 The branding for Eurovision is always controversial, this is true of any design really as ultimately it is a matter of personal taste – we don’t all like the same thing. I for one really like what is being proposed here, it is playful, inviting and warm, all things that I am sure the show itself will be. If you’re interested, there’s a short film on YouTube explaining a little about the logo.